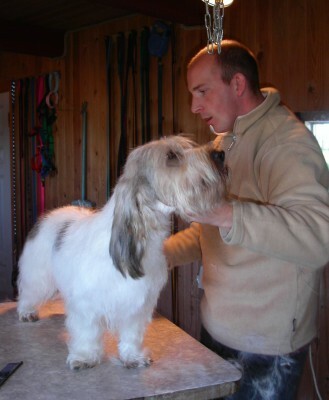 As both PBGVs and GBGVs are numerically small breeds, many professional dog groomers have never seen one and are unfamilair with how to groom a BGV to retain its rustic appearance. Sadly, it isn't unusual for a BGV's coat to be ruined by well-intentioned groomers or by those who just don't know what they are doing. 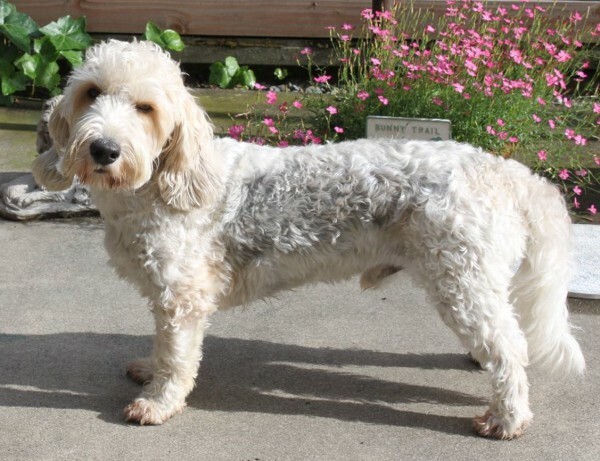 The PBGV shown here might be all set for coping with hot weather but doesn't look like a PBGV any more! Thankfully there are some BGV owners who, through years of experience, have become adept at knowing how to make a BGV look its best. While the club is unable to endorse anyone, as a service to BGV owners it lists those members who will happily offer advice on grooming or even groom your BGV for you. The art of grooming a Basset Griffon Vendeen is to make it look at though it hasn't been groomed.